2. ‘Mul HaSadeh’ Kashrus Faud! A sweet red wine bottled under the name Chavruta (barcode 7290002850564) by the IG Company is labeled “Kosher mehadrin under the Haifa Rabbinate – Kosher for Passover, new bottle”. The Haifa Rabbinate reports it does not grant kashrus certification for the wine, and the kashrut statement is fraudulent. This hall, located on HaNisi’im Street in Hod HaSharon (09-745-5800) advertises itself as kosher, displaying a photocopy of a Chof HaSharon Regional Council Rabbinate certificate number 0522. During a kashrut inspection, officials told inspectors the event taking place was catered by Tznubar Catering from Moshav Rishpon, under the management of Mr. Gabi Vardi. 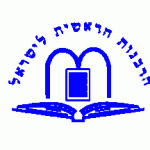 After checking with the Hod HaSharon Rabbinate, it was learned that Mul HaShulchan is treif (non-kosher). A probe with officials in the Chof HaSharon Regional Council Rabbinate revealed that the certificate displayed was also a forgery and the caterer never applied for or received kosher supervision. There are legitimate fears that actual treif meat was served. A complaint was filed with police against the hall for violating state kosher laws and all legal avenues towards enforcing the law are being pursued. A raid of a number of businesses in northern Israel revealed that they are claiming kosher supervision using the unauthorized Mor Levana – Beit Mordechai agencies, and they do not have kashrut supervision from the appropriate local Rabbinate. As such, items originating in the Jerusalem Bakery and Arbika Coffee (barcode 6231000556615) (44 Huadi Street, Haifa) are not to be used by kosher businesses. Legal action is being taken against the owners. The above-mentioned product, imported by Supermedic Light (8 Fleeman Street, Haifa) is advertised as kosher under the supervision of Rabbi Avraham Hochwald of the Rhine and with the import approval of the Chief Rabbinate of Israel. Insect-Free Greens: Yarok HaKfar celery of Meshek Kahanov, as well as parsley from the Oren Eliyahu Company of Moshav Avital are found to carry unacceptably high levels of pesticides and therefore, the area rabbinate has decided to pull the products from the marketplace over health concerns until further notice. According to HaRav Moshe Blau Shlita of the Arava Tichona Rabbinate, he is not responsible for the mehadrin kashrus of the above-mentioned factory and therefore, assumes no responsibility for the product’s kashrut integrity. 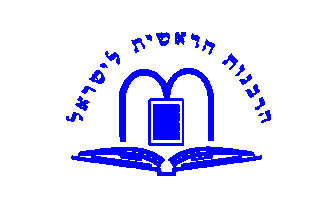 The company advertises itself under the kosher supervision of the Shomron Regional Rabbinate but the latter states this simply is not true and use of its name in this case is not authorized. As such, the company’s products are not to be used until it makes arrangements for proper kosher certification. In response to many inquiries regarding the cookies manufactured by Vieira de Castro Company from Portugal, bearing kosher certification from the Triangle-K for those who use chalav akum milk powder, and with import permission from the Chief Rabbinate of Israel, the product is dairy. There are a number of wine presses in Israel that attract tourists and the Rabbinate wishes to warn the public that even if grapes are used after tithes have been taken, and one is certain they are not orla, there is the problem of ‘ yayin nessech’ or ‘stam yanam’ since non-Jews are among those pressing the grapes. Following are businesses that advertise as kosher without legal kashrut certification or lost their kashrut certification. Pizza Patzatz in the Lod Center Mall – Lod Rabbinate revoked kashrut certification. Isa Zahad Abed Company (42 Sultani, Kfar Kassem) is displaying an outdated forged kosher certificate for figs being sold. Melech Hashawma (58 Levinsky Street) advertises as kosher but lacks a legal kosher certification. LINK to original Hebrew document. Please pass this around and encourage others to join this free informative service to help get the word out on kashrut in Eretz Yisrael. To join the JKN mailing list, visit the website. Anyone is free to distribute it, even for commercial use, but on the condition the information carry the footer “Jerusalem Kosher News – www.jerusalemkoshernews.com – jerusalemkn@gmail.com”. Posted on August 16, 2010 by JKN Israel. This entry was posted in 5770 - 2009/2010, Chief Rabbinate Updates. Bookmark the permalink.